I know you’ve spent so much time and care choosing the perfect dress, so I want to offer you something really special. With this in mind, I’ve taken my old blogging website, updating it to host this new collection. Luxury bridal garters I’ve made using the most beautiful fabrics and laces combined with time, to craft gorgeous details. 🙂 I’m also offering a bespoke service where I’ll take your own wedding garter ideas, wishes and dreams, combining them in a bridal garter that is unique to you. On my blog, you will find fabulous stories and photos from previous brides who’ve very kindly agreed to share their perfect day. With some amazing ideas, they’ve asked me to include which I hope you’ll find inspiring. I do hope you love my work, I’d love to hear from you and hopefully stitch your garter too! 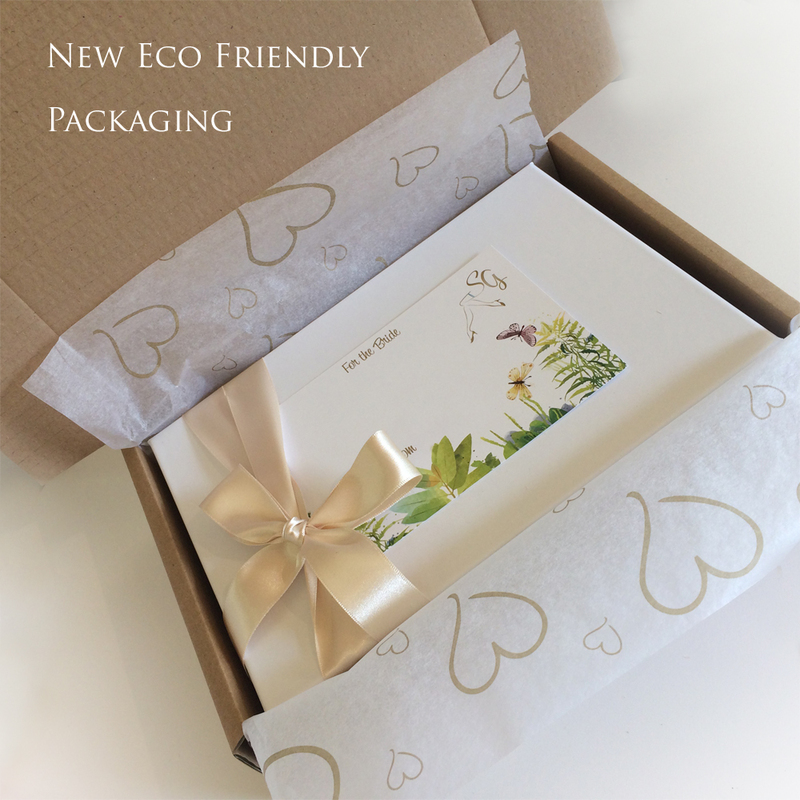 Every bridal garter will be carefully wrapped in my logo tissue, beautifully boxed and thoughtfully packaged in eco-friendly ‘no plastic’ materials. Beautiful white boxes with a gold logo made in Britain using the maximum recycled content they are also fully recyclable. With a postcard for the bride explaining the tradition behind wearing a wedding garter. Tiny swing tickets discribing why your garter is so special.